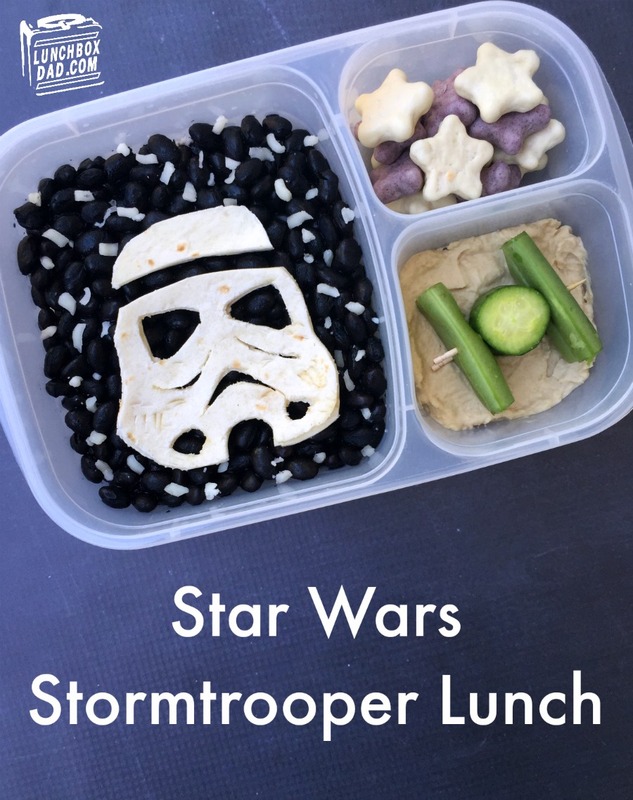 Anyone who knows me knows I love to make Star Wars lunches for my kids, it’s one way I show how I care. I made this for People.com to show my geeky side but I am posting it here too with some extra pictures. It’s also why I’m excited about the Whirlpool #ItsAllCare program that’s asking people to share their own special ways of caring at whirlpool.com. Because no matter how you express your care, it counts. My family is so pumped for today because it's May the 4th! That's right, it's national Star Wars Day. My kids actually look forward to this day all year long. My daughter even wants her hair to be in "Princess Leia" buns and we all try and wear our Star Wars gear. I also want to know what you are doing to care for your kids today, especially if it's Star Wars related. Let me know in the comments below and share it with me on social media using #ItsAllCare. I can't wait to see what you come up with! In the meantime I went the extra mile and put together some step-by-step pictures for you to make this lunch yourself. It's really very easy and I created it in an Easy Lunch Boxes container. Ingredients: Grilled chicken strips, white cheese, black beans, flour tortilla, star shaped crackers, hummus, mini cucumber, snap peas, toothpicks. 1. Place grilled chicken strips in lunchbox main dish. Put cheese on top (shredded or sliced), and then cover with black beans. 2. Warm the beans first if serving immediately. They can also be heated up at a different time if serving this lunch later. 3. This bean dish can be mixed up and eaten with a spoon or put inside the tortilla Stormtrooper helmet like a wrap. 4. 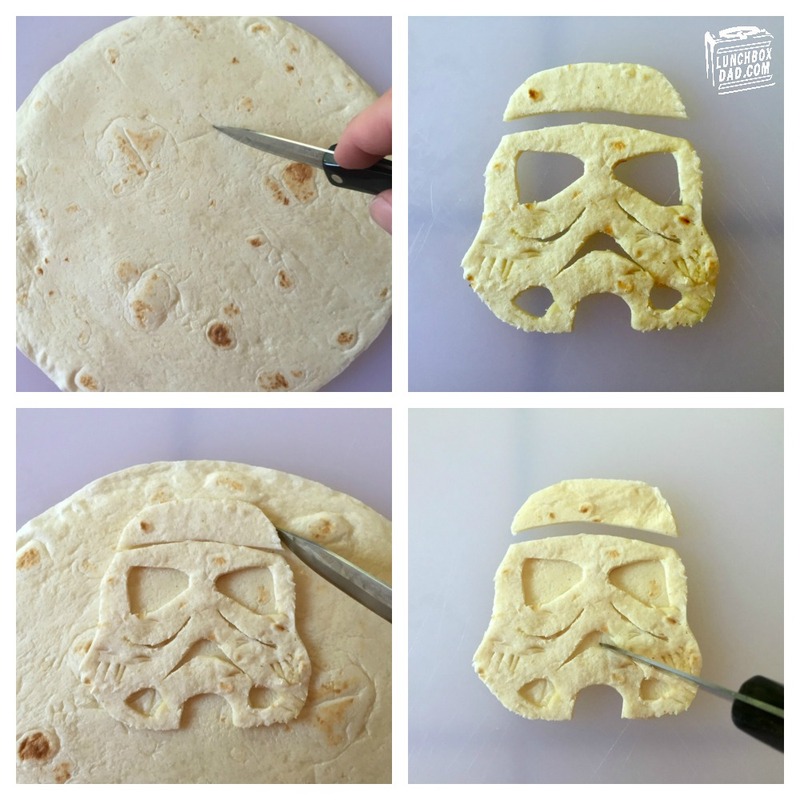 Cut tortilla into shape of a Stormtrooper's helmet. It is very similar to a bell shape. Cut out eyes, mouth, and other facial features as shown in picture. 5. Use first Stormtrooper helmet as a guide to cut out second helmet. Do the same for the facial features. 6. Place both helmets on top of each other and put helmets on the black beans. Sprinkle small pieces of cheese around helmets to look like stars. 7. Cut mini cucumber, also named Persian cucumber, into slices. Cut the ends off of two snap peas. Slide first snap pea onto toothpick, then a cucumber slice, then a second snap pea. When finished, it should look like a TIE Fighter as shown in the picture. 8. 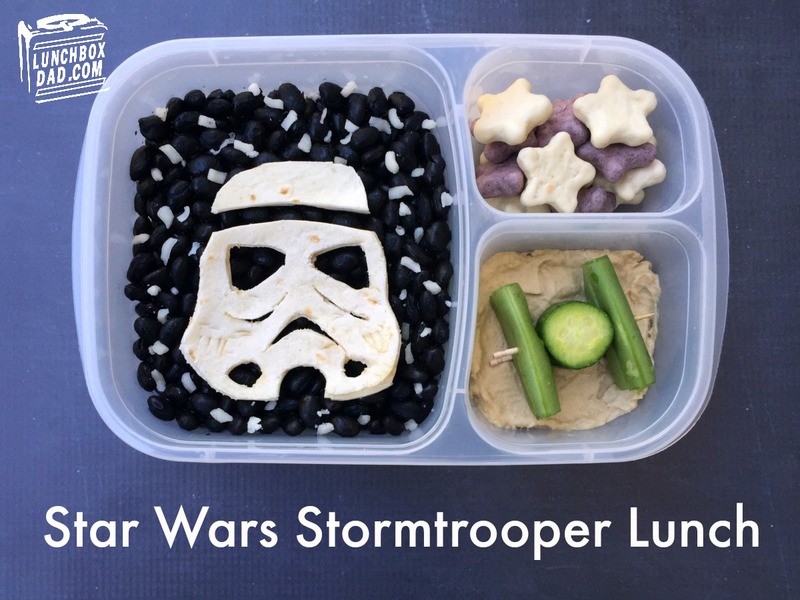 Spoon hummus into lunchbox side dish and arrange one or two TIE Fighters on top of hummus. 9. In second side dish, place star shaped crackers. 10. Serve and watch your kid's eyes light up as you celebrate May the 4th together! Thanks for reading and I hope this turns out well for you!